In addition to traditional Wrought Iron, we are able to manufacture any balustrades to include other materials such as Timber or Stainless Steel handrails, to suit the individual. We can also incorporate glass into balustrades. 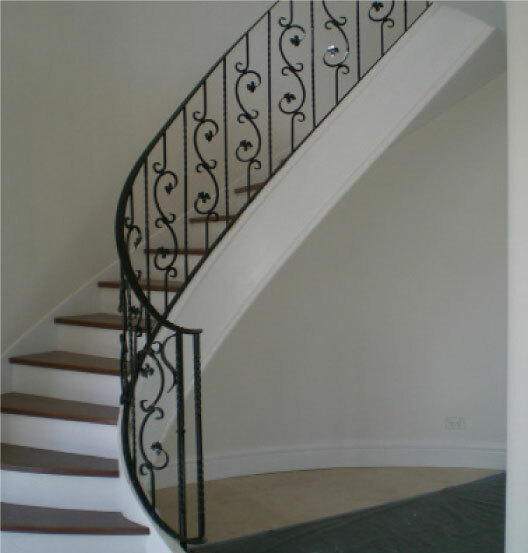 We specialise in curved Wrought Iron Balustrades for Grand Staircases. We have designed many balustrades especially to suit individual clients and their homes, if this is something you are interested in please contact us to discuss. Many of our Wrought Iron Balustrades have featured in the “30 Luxury Homes” Magazine, as well as in other publications. We design and manufacture wrought iron Balustrades and Railings for homes and business's around Sydney, Including Western Sydney, The North Shore, Inner City, and South Sydney.